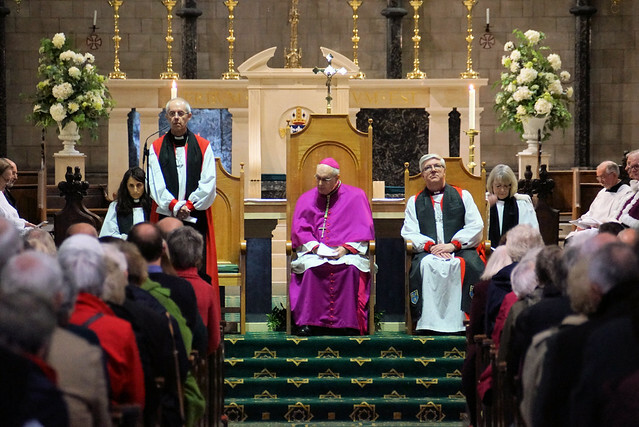 The Archbishop of Canterbury Justin Welby was welcomed to Norwich at an historic ecumenical service of welcome at St John the Baptist Catholic Cathedral at midday today (November 6). Keith Morris reports. Archbishop Justin was welcomed by the Catholic Bishop of East Anglia and the Anglican Bishop of Norwich, alongside many other local church leaders in a short service of reconciliation. It is believed to be the first time any Archbishop of Canterbury has spoken at St John's Cathedral.